While running his own real estate investment consultancy in 2009, Chris discovered that his clients, even though they were sophisticated and prudent investors, had questions they needed answered and no one to rely on to help solve them. Understanding their stress and worry, Chris made it his mission to become a trusted resource for financial guidance. Since then, Chris has been relieving his clients’ worries by guiding them through the vast array of financial concerns and delivering strong solutions to fit their unique needs. He believes that people will be successful if they have a clear, easy-to-follow plan that is focused on what is most important to them. Chris graduated from The University of Alabama with B.S. in Finance. He is a CERTIFIED FINANCIAL PLANNER ™ practitioner. 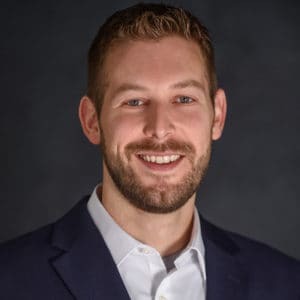 He is a NAPFA Registered Financial Advisor with The National Association of Personal Financial Advisors (NAPFA) and serves as the Chair of NAPFA Genesis—a peer group of financial planners under the age of 34 dedicated to advancing the Fee-Only financial planning profession. He is a member of the Financial Planning Association (FPA). He was recognized by the Eastern Shore Chamber of Commerce as the Young Professional of the Year in 2017.